Beautiful shapes and colors of flowers. Wow, that is stunning; so beautiful and soft! Much like a spring day! Excellent tones, the photo feels like spring! Beautiful shapes and shot Martina. Martina, you have a wonderful soft and gentle way with colors. Viewing your work brings home to me that indeed, often less is more. I’m afraid I’m much more heavy handed in my own efforts and constantly must restrain myself shy of the “too much” line. If you haven’t figured it out yet, I very much like this beautifully balanced image. Enjoy the spring. 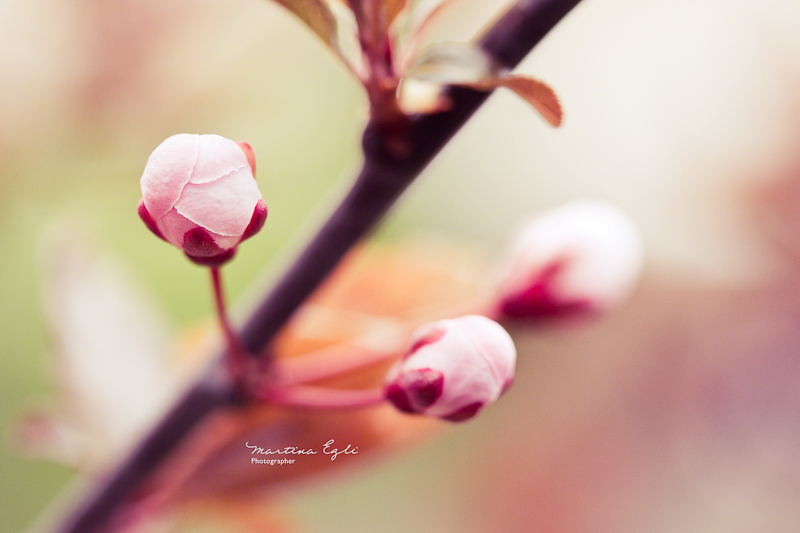 fantastic tones and softness, and the details in the bud in the focus are also really nice. beautiful, your buds. the tenderness and color. I very much hope that there are many such beautiful flowers blossom, here and everywhere. How funny, I have the same subject today! I love how each photographer has a different “take”. Love the colour and DoF. scent (sense) of a lady 🙂 just so audrey hepburn.. classy and demure HA. gorgeously framed, very charming a piece of work. Precious shot of spring, so tender ! Lovely bokeh Martina… Just beautiful..
Encore toutes mes félicitations pour ta sélection sur COOLPHOTOBLOGS.COM… Bravo ! very beautiful. the depth of field and color compliment each other very well. Nicely done, so gentle and raw..Great work !